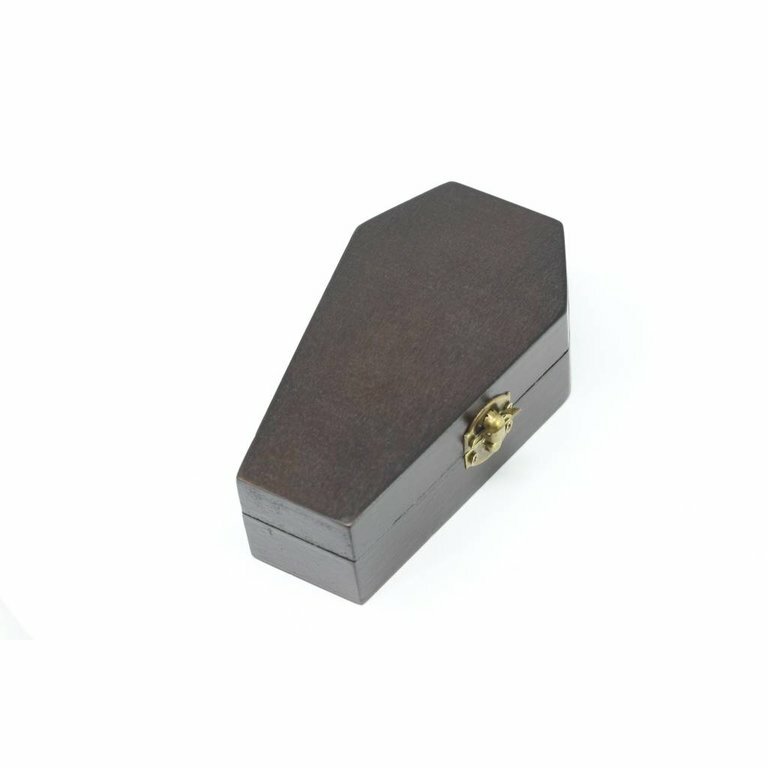 The perfect Halloween season storage for those rolling bones! 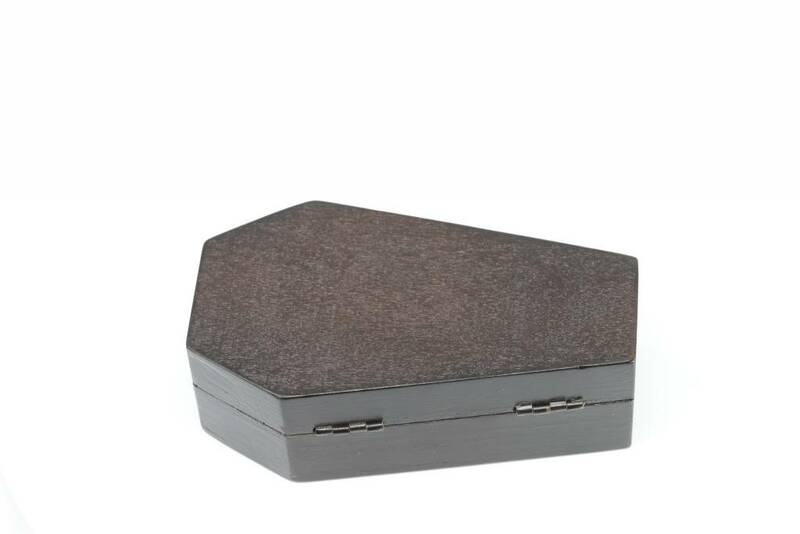 Die Hard's coffin cases are lined with velvet-topped foam. 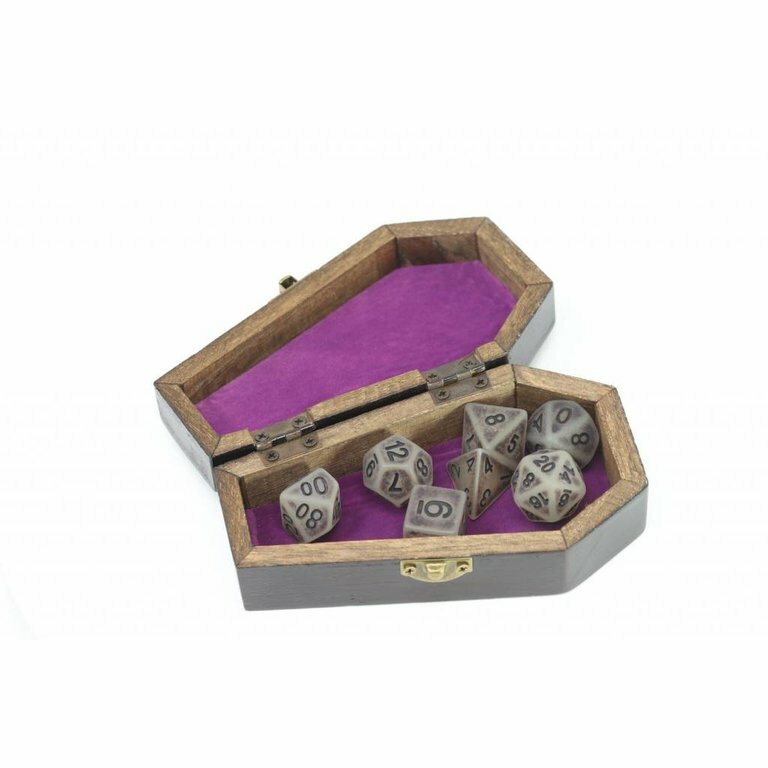 They are ideal for polymer dice, but are not recommended for use with metal dice. 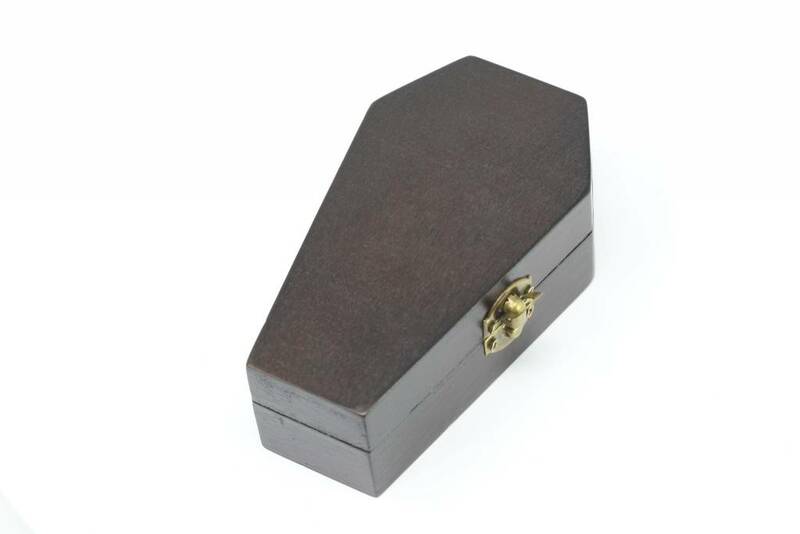 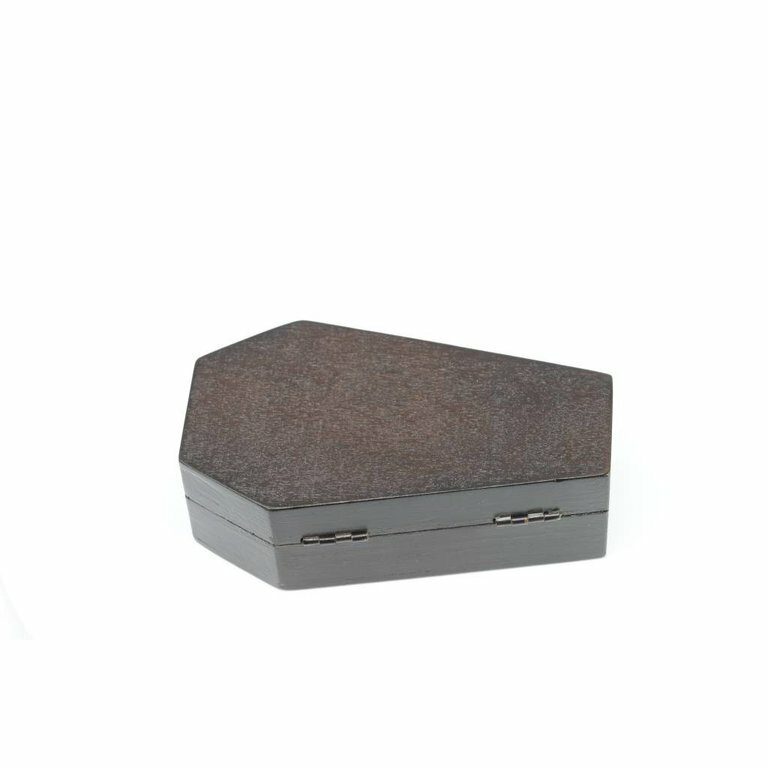 Note: the actual colour of the coffins' exterior are a deep matte black, not a grey as the photo would have you believe. 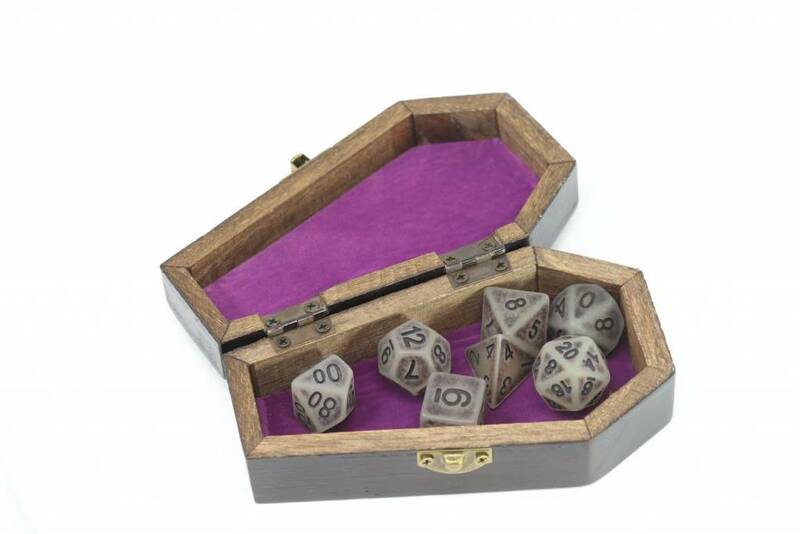 These dice glow with phantasmal energies!